Tue., April 11, 2017, 11:57 a.m.
BOISE – Idaho Supreme Court Justice Daniel Eismann says he will retire this fall after more than 16 years on the state’s highest court. Eismann has served in the state’s judiciary for three decades, first as a magistrate judge in Owyhee County and later as a district judge in Ada County. 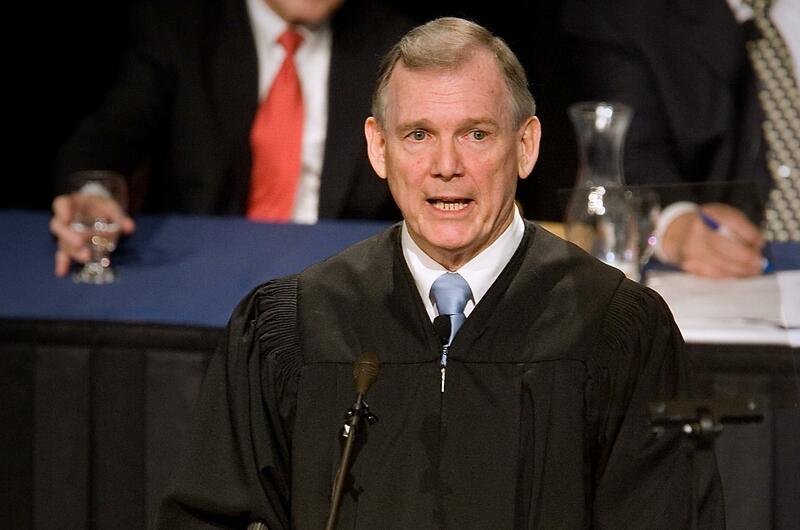 He joined the high court in 2000 after defeating incumbent Cathy Silak in a highly contentious and partisan race. Eismann was unopposed in both the 2006 and 2012 elections. Because Eismann is retiring on August 31 of this year – before his term would normally expire, in January 2019 – Idaho Gov. C.L. “Butch” Otter will be able to name Eismann’s replacement. The governor will pick from a list of two to four candidates selected by the Idaho Judicial Council. The seat will then come up for election in May 2018. Published: April 11, 2017, 11:57 a.m.